Awesome 3 BR Colonial - Walk to Downtown! DON'T TOUCH A THING it's perfect the way it is! Not this least bit ordinary is this recently remodeled classic 1900's colonial that has been updated with all the modern bells and whistles. This instantly appealing home has a great floor plan with refinished hardwood and tile flooring, spacious kitchen with granite counters, tiled backsplash and appliances included. Value, beauty and space can be yours! You'll love the convenient first floor laundry/mudroom, as well as full tiled bath with built-in storage. Updated electrical, new energy-efficient propane gas heating system, replacement vinyl windows and new gutters. The walk-up attic is ideal for storage, or potential added living space. Large backyard Trex deck with Mt Tom views overlooking the large fenced-in lot. 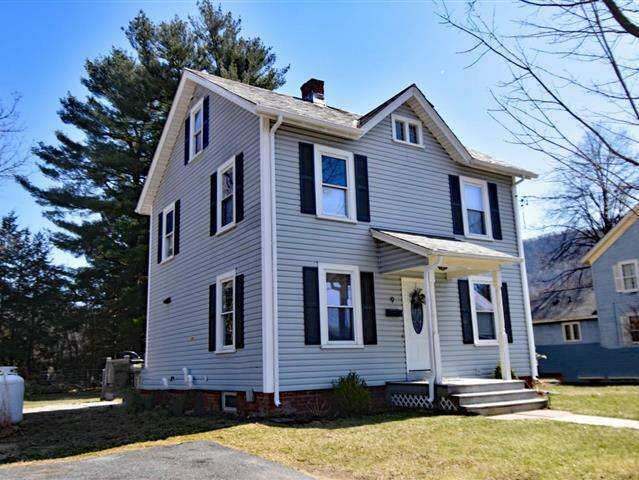 Perfect location for commuters, close to Northampton, I-91 and an easy stroll into downtown to restaurants, shops, parks, bike path and tons more - THIS WILL NOT LAST!